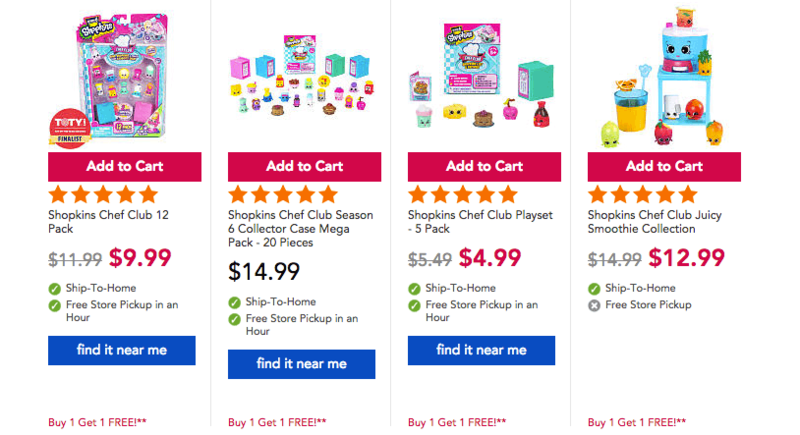 Toys R Us: Buy 1 Get 1 FREE Shopkins Chef Club Toys! Huge deals to replenish the toy closet. 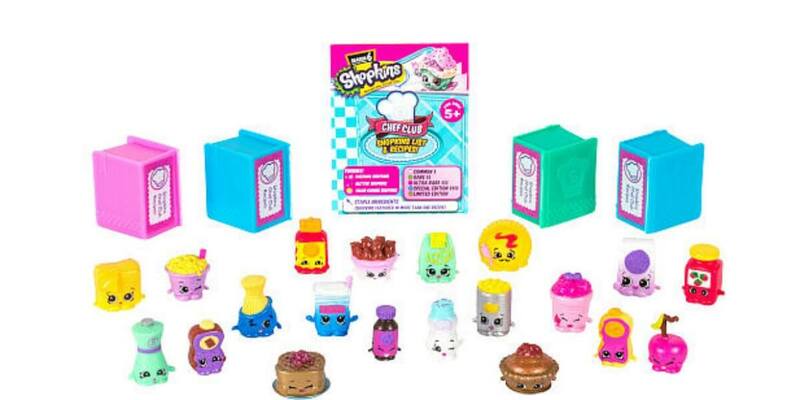 At Toys R Us: Buy 1 Get 1 FREE Shopkins Chef Club Toys! Free Shipping for orders $29+ or free store pickup! Must add to cart 2 eligible items for offer to apply. Discounted item must be of equal or lesser value to lowest priced item purchased. Checkout the Fisher Price and Play-Doh deal too!